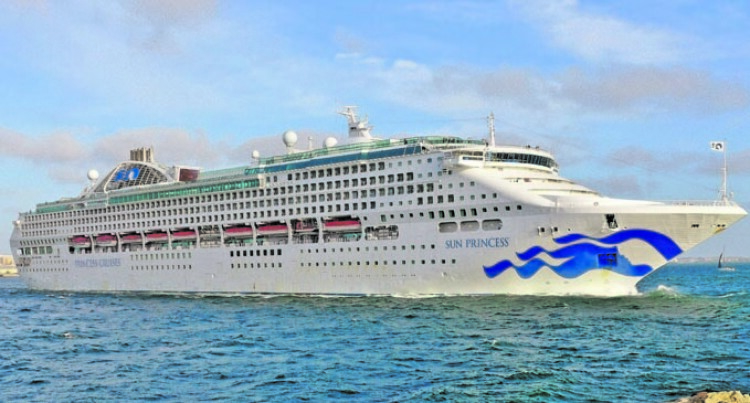 The number of international cruise liners administered by Kenua Fiji to arrive in Fiji ports has dropped from 129 last year to 109 this year. KF manager Leone Naivalu yesterday said the drop was due to many reasons. “We are going to receive a total of 109 cruise vessels at the Lautoka, Suva, Savusavu, Port Denarau and Dravuni ports this year,” Mr Naivalu said..
Mr Naivalu said this figure had decreased from the number of cruise vessels that berthed into the different Fiji ports last year. “Last year there was 120 cruise vessels that arrived into the country but this year we are expecting 109,” he said. “There are a number of factors that have led to the decrease in number of cruise vessels expected this year. “One is booking; port bookings are done two to three years in advance for vessels that would want to berth into our ports. “Port bookings are also based on how best a destination is sold and cruise vessels are expected to book in advance all the time knowing how busy marine traffic can be in our ports. “Another reason could also be the scheduling for cruise ship’s that come under the Royal Caribbean line, its market is in China thus it is mostly repositioned in China every year. Mr Naivalu also said that there has been a slow start in the cruise liner sector for this year compared to last year. Kenua Fiji is the biggest cruise line agency in the country having to look after 90 per cent of cruise vessels that come into the country annually. As agents of cruise vessels that arrive into the country and they look into documentations. The other 10 per cent is looked after by Williams and Goslings and Swire Shipping.